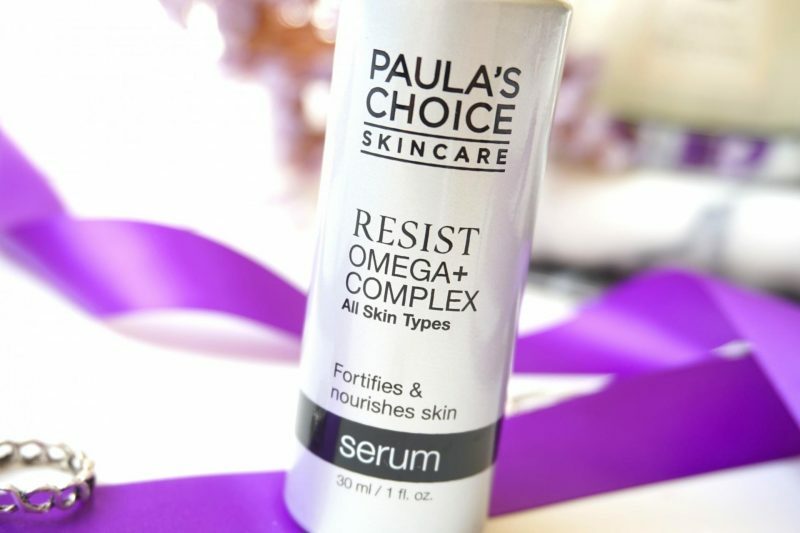 Today I will talk about Paula’s Choice Resist Omega+ Complex. Once in a while I get introduced to a brand that I never used before. Yes, shame on me that I never tried anything from Paula’s Choice. For a long time I wanted to try out her glycolic acid products, but I never purchased anything because I was a bit skeptical about it. 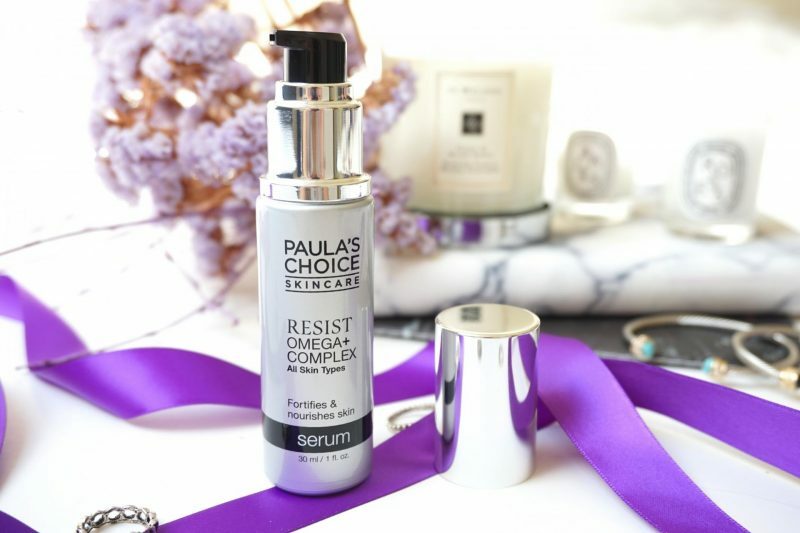 Now I received this Resist Omega+ Complex from The Image Factory to try out and I became super excited when I saw it was a serum. Hell yeah to serums because you can never have enough of it. 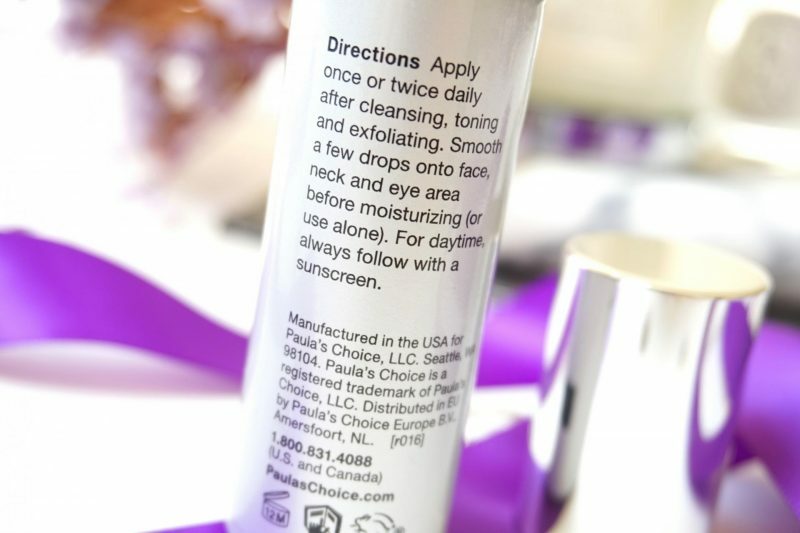 Excited to know more about this new item from Paula’s Choice that is suitable for all skin types? Let’s get started! Who is it for? Whatever your concern, omegas are what healthy skin needs. 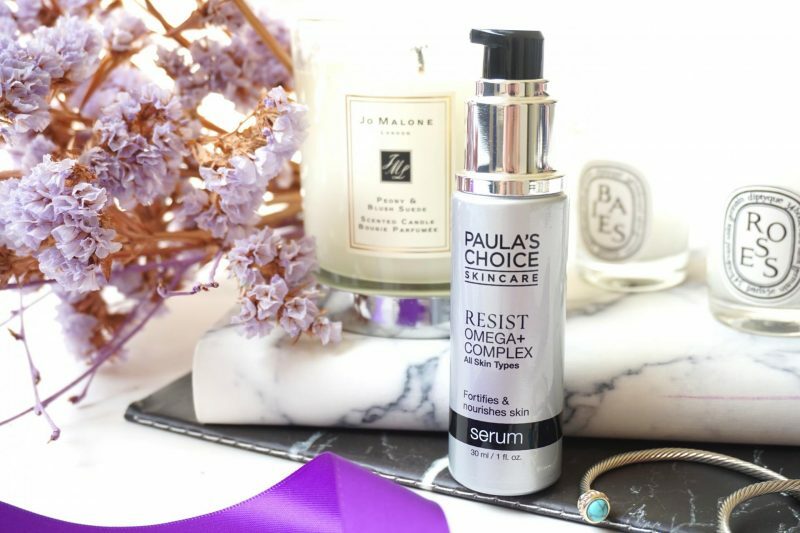 RESIST Omega+ Complex Serum is ideal for all skin types, and especially beneficial for anyone struggling with skin that’s showing signs of fatigue or visible signs of aging such as fine lines, wrinkles and loss of firmness. What does it do? Concentrated levels of omega fatty acids help replenish dull, dehydrated skin, revive a beautifully smooth, supple feeling plus visibly soften the appearance of fine lines and wrinkles. Why is it different? This serum contains robust levels of Omega 3, 6 and 9 oils plus skin-identical ceramides and hydrating ingredients to visibly improve skin’s health. How to Use? Apply 1-2 pumps onto face and neck after cleansing, toning, and exfoliating. For optimal results, use AM and PM. For daytime, always follow with a sunscreen. The packaging is a luxurious silver slick bottle with black pump. I’m somehow happy that this serum contains a pump so the product stays fresh in the container and doesn’t get in touch with your dirty fingers. However, imagine this bottle almost empty .. you can’t take advantage of the last remaining product in the jar. I didn’t try if the pump can be removed but I hope we can find a way to get use to all of the product inside. My first thought when I saw this bottle was: damnn, that looks expensive! But it is only €34,20 at the moment on the Paula’s Choice website. When pumping the serum out of the bottle I immediately noticed a nut/oatmeal kinda fragrance. When I checked the ingredient list I found that this serum contains chia seeds. Personally I love the scent of chia seeds, I love it in my food and shakes and it gives the product a real spa feeling when applying it. I do have to warn you that if you are sensitive to heavy fragrances, this might be a problem. The chia seed scent is overpowering the product, but will slowly fade away when applied on the skin. I have a big face, no joke. Beside my face I always take good care of my neck, something I ignored for a very long time with visible results. 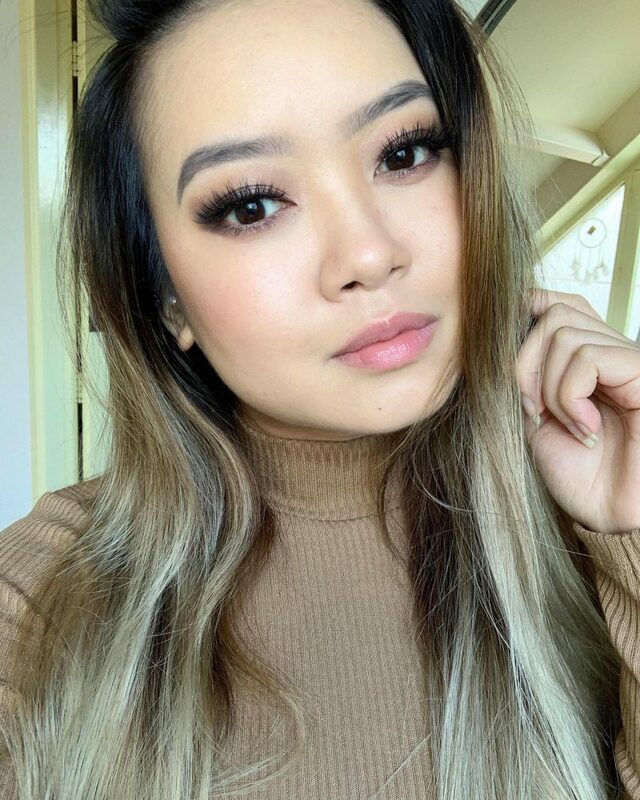 With the Resist Omega+ Complex you can do your entire face with one pump, but I like to use two. I like to cover my face, neck and part of my chest with it. The consistency is very easy to blend into the skin, that’s why you have enough with one pump for only the face. At first it looks like a white gel but when you start to rub it in, it looks like it turns into water! Amazingly within seconds the skin will absorb the serum and you will end with a smooth skin, ready for the next skincare step or makeup routine. I’m so happy that my face doesn’t feel sticky or heavy after applying it, which is in most cases when you apply a serum. You have to take a break until you can the next step but with this serum you will cut time in your routine. Also, when applying a second skincare step or makeup you don’t get the weird gel balls. With some other brands I start to get a weird peel off effect when I start to rub another product on top of the serum. Luckily the Paula’s Choice stays on its place! But how did my skin turned out? I tested this serum for over a month now, using it on and off for few a days in a row or just a particular day when my skin was really bad. The days when I used the serum for a few days straight I prefer to layer it with a moisturizer. I love this serum for my night routine and also when using this during the daytime you have to wear sun protection. I try to avoid as much as damaging sun products during the day to just lower the risk. I use about 2/3 pumps for my face and neck, applying my favorite eye and face cream and go to sleep. When I wake up I can instantly see how radiant and even my skin looks, like it had 8 hours of rest (during the week I can only sleep 5/6 hours because I have to wake up early for work). The texture of my skin is smooth as hell like I just had a facial peeling. Sometimes I can notice that my skin also look a bit more plumpy, but the results are always different depending on how much and well I’ve slept. When using the serum on its own it is a whole different game. Can you imagine how my skin looks like when using it without a moisturizer? Well, there is NO difference! Yes, I’m not joking. I can’t tell a big difference when using this serum with or without a moisturizer. Keep in mind that my skin is really oily, so the results will vary when you have dry/combination skin. I can’t be more happy than this, the moment when I noticed that only this serum is enough I thought: now I can go to sleep right after doing my skincare routine! No sticky pillow feeling anymore or waiting 30 minutes before jumping into bed. I’m a hectic girl. Since a few months ago something really bad happened in my life and since then I have just lack of sleep. When I wake up my skin can look terrible red and dull, depending on how well I’ve slept. During the days of I try to pamper my skin to restore it to its original state before I had a bad night of sleep. 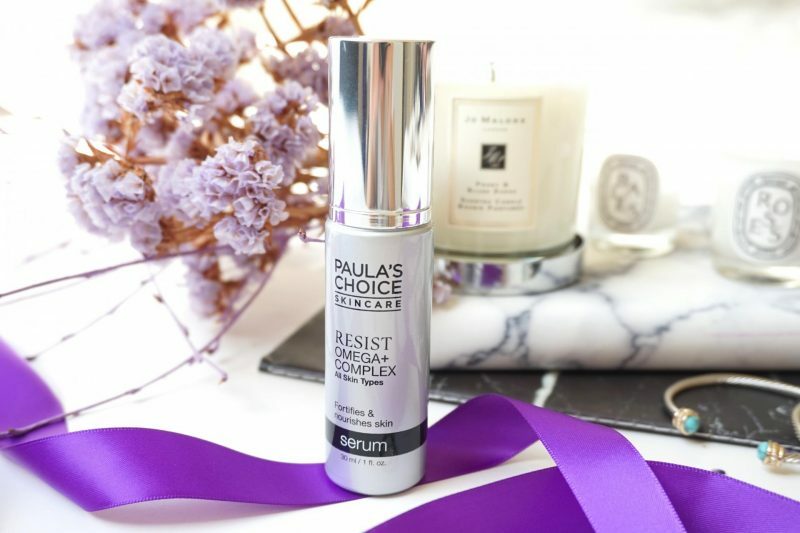 With the Paula’s Choice Resist Omega + Complex I don’t need to worry about dull looking skin in the morning. With or without moisturizer/essence/emulsion, my skin look beautiful when I wear this products on its own. My skin absorbs it immediately after application and it is very easy to layer it with other products without getting the weird gel peeling effect. I don’t use the serum everyday, usually I like to save it for the really bad skindays (which is approximately 2 times a week). When I use it I can see a big difference when I wake up. My skin looks radiant and even, sometimes when I use it a few days in a row I can see that some fine lines are getting softer. 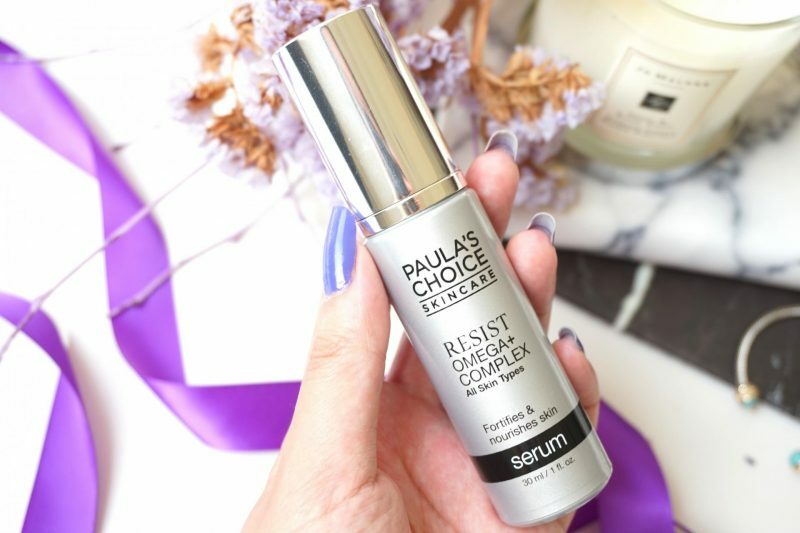 I have a really oily skin but even Paula’s Choice says it works for every skintype, which I truly believe. I can recommend this serum to everyone who as a hectic life and lack of sleep. 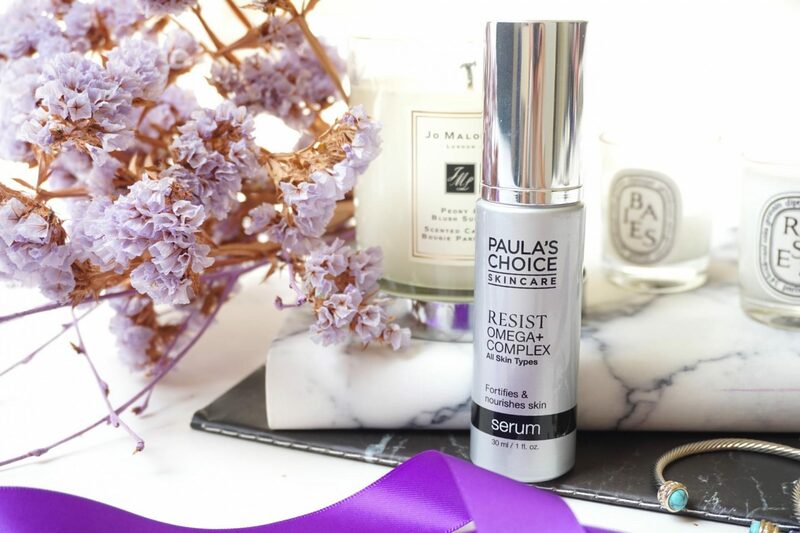 You may not notice it but on the long turn your skin will thank you for this amazing serum. I really enjoy it even tho I got it as a gift. As an honest and critic person I say that it is worth the money and I will definitely get a new bottle! This serum sounds interesting! Uni/Work/Life can be hectic but my skin doesn’t need to live through it! I always hear great things about Paula’s Choice! This serum sounds wonderful. I am very interested in trying it! I think this is the second review I’ve read that raves about this serum. Who doesn’t want super smooth skin? Sign me up! I’ve actually had bad experiences with some of her other products but I feel like I need to give her brand a second chance with this. I hope things get better and less hectic for you, sending you lots of love!